At any time and anywhere, from any device - enjoy your friends and family - with TV Assist on your phone, you can play your favorite photos, videos and music as you like, Like a TV nearby. Moments with everyone to see and hear! Screen Stream Mirroring Able to play videos, music, photos, etc. 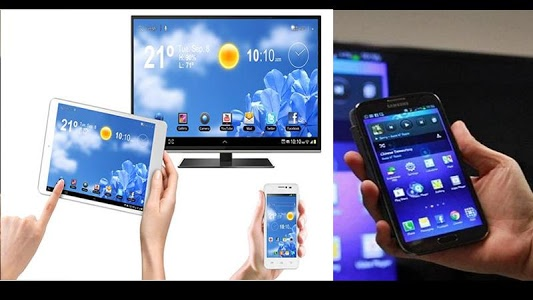 In my smartphone with any device (smartphone, smartTV, laptop, tablet, etc.) anywhere. This application can only read content, but send screen such as HDMI, MHL, Miracast and Chromecast! Have fun with friends and family - with TV Assist on your phone, you can play your favorite photos, videos and music the way you want. It does not need dongle or extra cable. Click "Start," the mobile AP will work automatically. And After the hot spot works, connect to the AP from other devices!